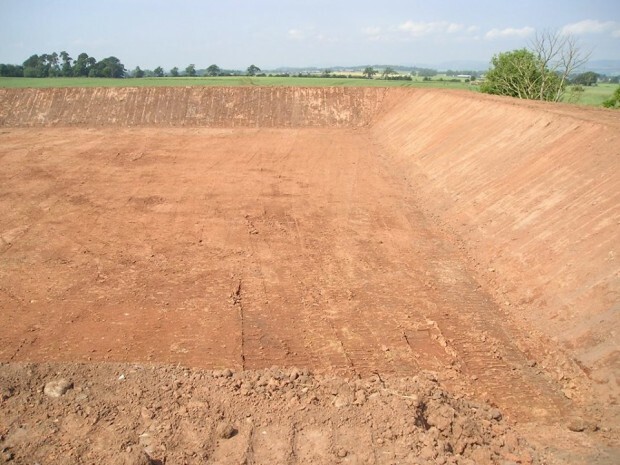 For large scale slurry/digestate storage a lagoon is often the best practical solution. Lagoons also offer many potential benefits to smaller businesses and farms. 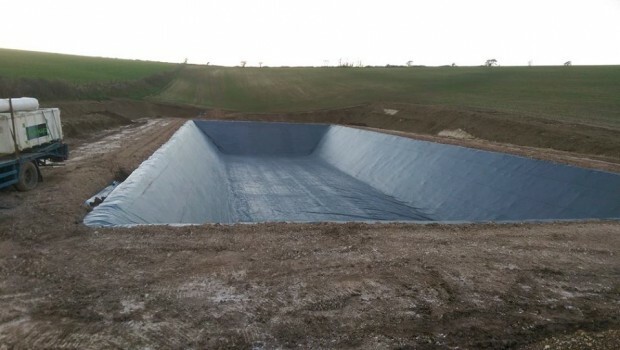 All Agri-Environmental lagoons are constructed using Genap liners, for who we are the UK and Republic of Ireland Distributors. 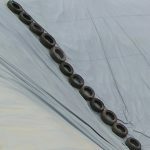 Depending on size these are welded off-site in factory controlled conditions to eliminate the possibility of contamination of the seams and subsequent leaks. 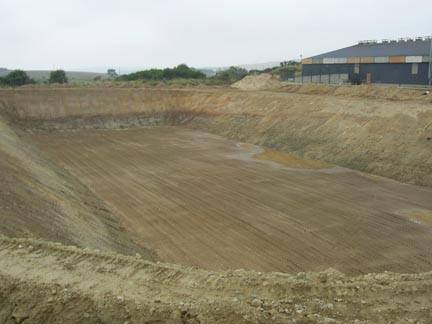 The lagoon is the central point of the overall slurry/digestate management system. These will affect the efficiency of your overall storage and distribution management systems. 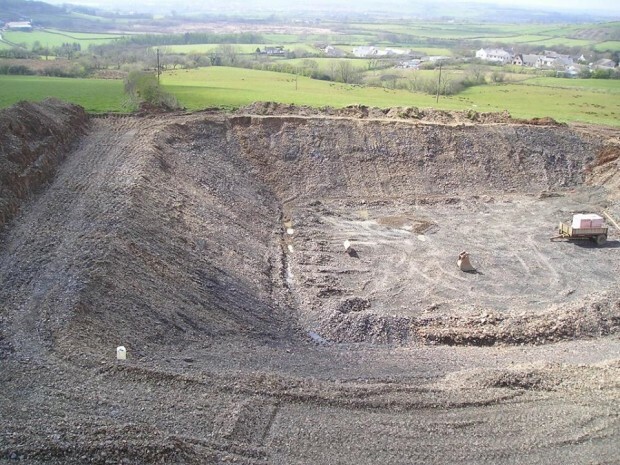 The Genap slurry lagoon is a Kiwa-certified, excavated pit for storage of various kinds of slurry and digestate. 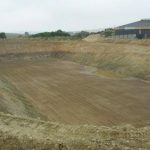 Use of a sophisticated soil balance solution ensures that no more earth will be moved than is to be filled by the banks of the lagoon. 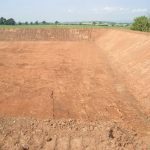 Depending on the applicable local requirements, a custom made lagoon will be supplied together with a bottom liner, floating cover and leak detector. 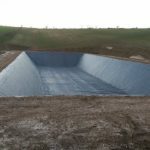 Bottom liner The slurry lagoon is fitted with one or more prefabricated liners. 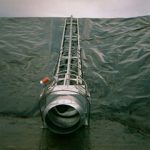 The most commonly used liners are the PVC Fecatex®, EPDM and (HD)PE films, which are manufactured in accordance with Dutch BRM guidelines. 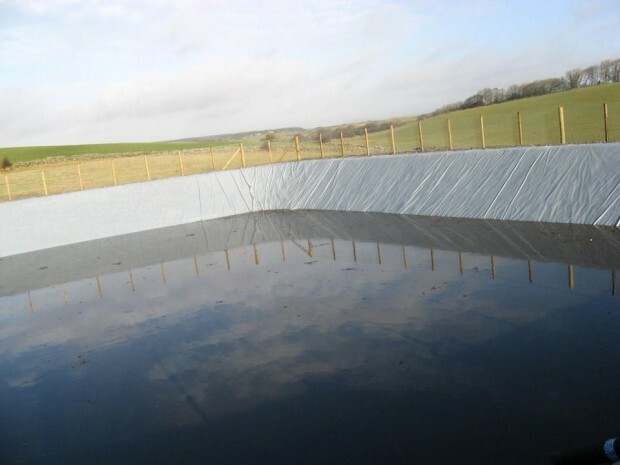 The film liners are welded in our factory, guaranteeing consistent weld quality and enabling installation regardless of the weather conditions. 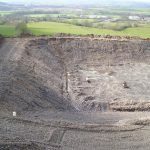 Depending on the earthworks, one prefabricated liner can cover a storage volume of up to about 15000m3. Does it need to be bigger? With field welding, the achievable volume is unlimited. 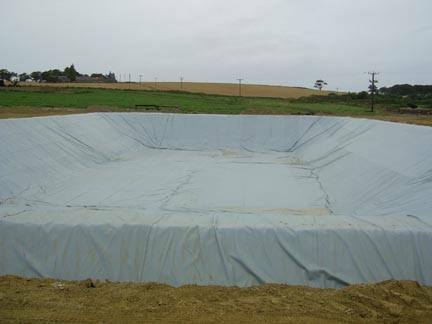 Floating cover Covered slurry stores are mandatory in an increasing number of countries. 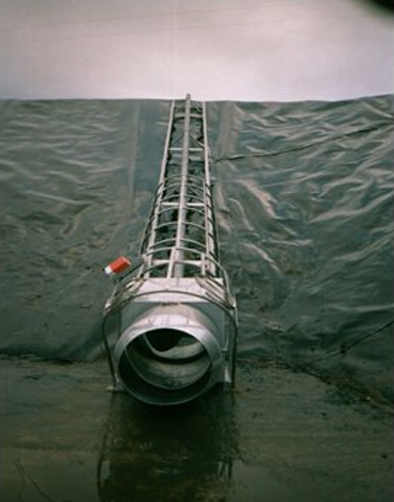 The Genap floating cover is widely recognised as an emission-reducing cover. 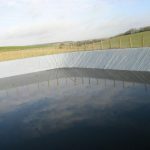 The slurry is pumped directly between the bottom liner and the floating cover, resulting in a completely closed system. Rainwater can be pumped off the top. Depending on the annual precipitation, this could provide an effective increase in the usable volume by about 30%. The most commonly used film for this purpose is the Genatex® 850 – a reinforced Kiwa-certified reinforced PVC film. Custom finish The outside lagoon banks are Genatex® bank protection. 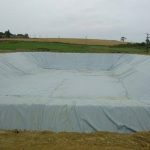 This fabric cover is designed to protect plastics and extends the service life of the slurry lagoon. AEG also offers mixer systems, including mixing hatches in various sizes for fitting in the floating cover, tractor-driven or electric mixers suitable for installation underneath the floating cover, filling lines and discharge stations. 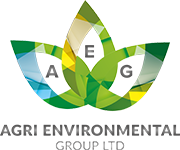 There are many possibilities; feel free to contact us for advice without obligation. Leak detection Where leak detection is concerned, a simple inspection tube connected to a drainage line underneath the bottom liner will suffice. A more advanced system is an additional leak detection film on the ground surface with an optical indicator. 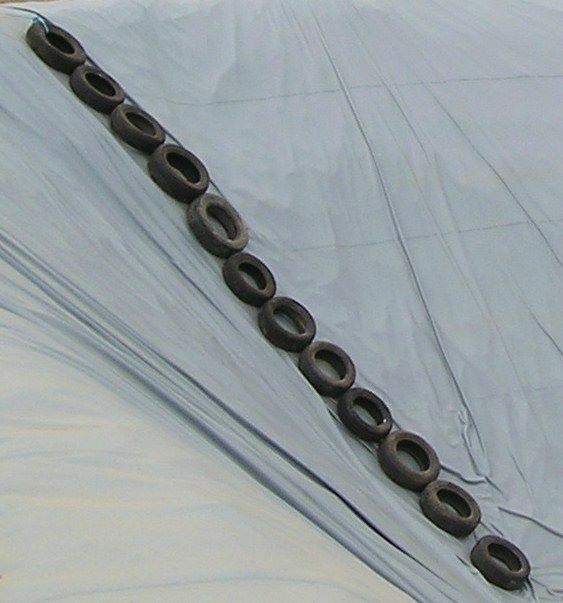 For continuous monitoring, a special leak detection unit can be installed underneath the bottom liner. In the event of leaks, a visual and/or audible signal is activated or a notification is sent to a control centre.